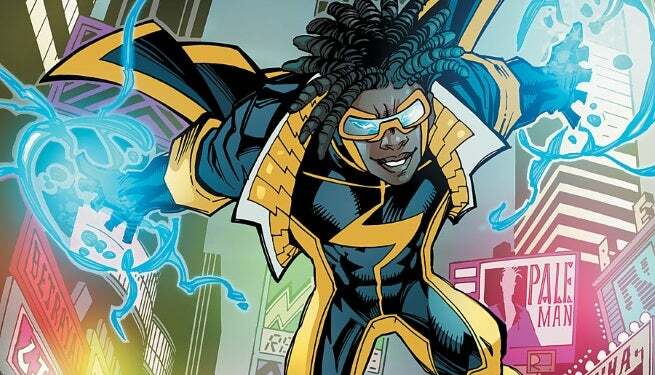 A series of live-action digital short based on the DC Comics property Static Shock is in the works at Warner Bros. newly named short-form digital content studio, Blue Ribbon, according to Variety. Static Shock features the character Static, originally created in 1993 by Dwayne McDuffie, Robert L. Washington III, and John Paul Leon for Milestone Comics, the DC Comics imprint meant to increase representation of African-American creators and characters in mainstream comic books. Static, whose real name is Virgil Hawkins, possesses a suite of electricity based powers. Static is best known from the Static Shock animated series that aired originally on Kids WB, and was part of the shared DC Animated Universe. Following the events of Final Crisis in 2009, Static – and the other characters from Milestone’s “Dakotaverse” – were introduced into the DC Comics universe, with Static joining the Teen Titans. Following the events of Flashpoint in 2011, Static received a solo series as part of the first wave of New 52 ongoing titles, though it was cancelled after just eight issues. Blue Ribbon is also working on a virtual reality experience based on Batman: The Animated Series, a new Mortal Kombat series, and other projects featuring DC Comics characters, with creators such as Bruce Timm – possibly the Justice League: Gods and Monsters Chronicles digital miniseries that will debut on Machinima, though that was not confirmed – as well as Akiva Goldsman, Reginald Hudlin, and Rob Thomas.